The Cowrie Container with Four Oxen and One Gilt Horse Ride, the Violin used by Nie Er and the Silver Gilt Bird Inlaid with Beads have become more popular among the audience around the country as their stories were revitalized during a cultural discovery program of CCTV-3 broadcasted on January 6. The Cowrie Container with Four Oxen and One Gilt Horse Ride is dubbed as a "silent history book”. 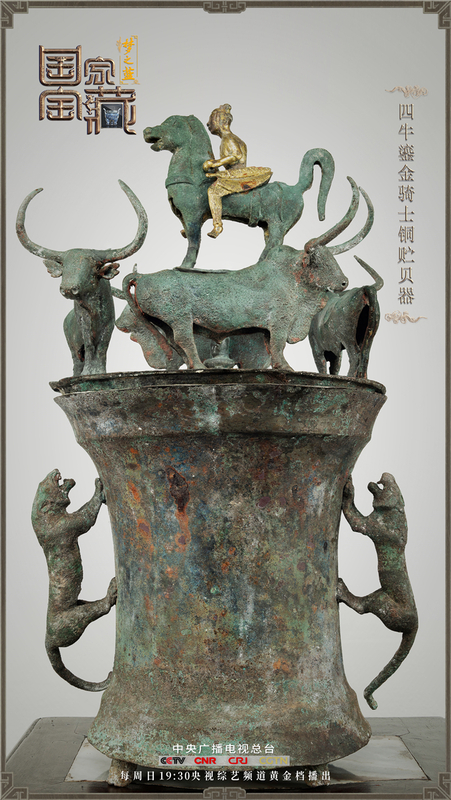 It shows the main scenes of people’s life and their beliefs in ancient Yunnan. 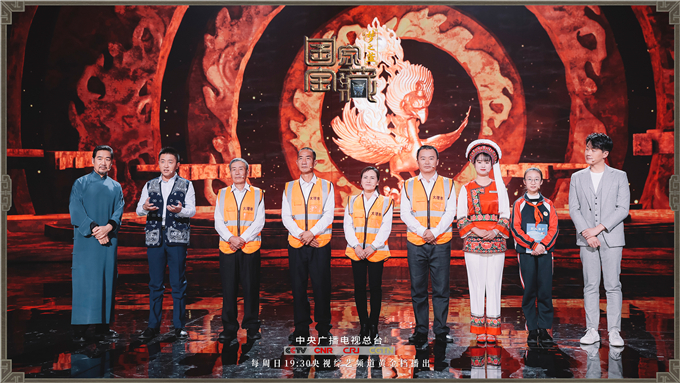 In the program, the history made a comeback through the performance of the Chinese famous dancer Yang Liping who brought the customs and etiquettes of ancient Yunnan back to the stage, together with other artists. 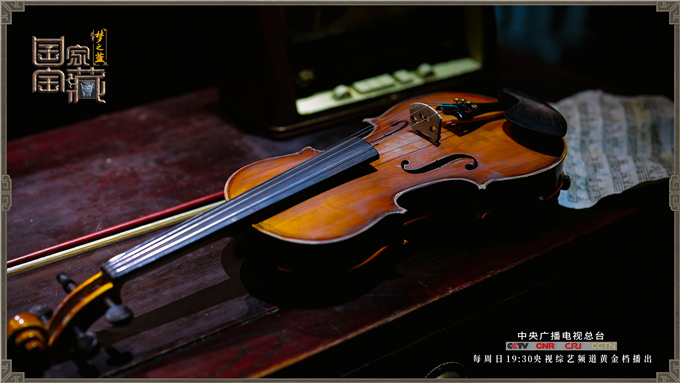 What makes the Violin used by Nie Er matter? In 1935 when the Chinese nation was in a critical time, Nie Er composed the inspiring song— "March of the Volunteers" with a violin. The song later became the national anthem of the People's Republic of China. During the TV show, Chinese well-known conductor Yu Hai told the story of the classic music arrangement of the “March of the Volunteers” and the design of the song. 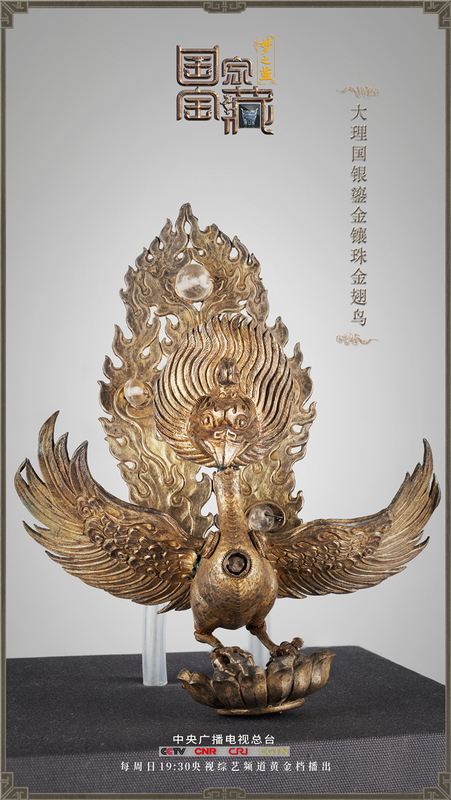 Beautifully shaped, the Silver Gilt Bird Inlaid with Beads was a part of Dali people’s beliefs in ancient times. It was made in the image of a golden-winged bird. Legend goes that the golden-winged bird helped local people fight against flood. And local people regarded it as a patron god. Today, there are 1,629 lake and river keepers in Dali and they are regarded as living golden-winged birds because of their contribution to the protection of local lakes and rivers like the Erhai Lake.